Arby's says it will pay more than $2.4 billion in cash to purchase Buffalo Wild Wings. The deal will need the approval of Buffalo Wild Wings shareholders. Arby's is fond of touting "We have the meats" — and soon, the company will have a lot more chicken, as it has announced a deal to buy Buffalo Wild Wings for more than $2.4 billion in cash. The deal commits the Arby's Restaurant Group to paying $157 in cash for each of the 15.51 million outstanding shares of Buffalo Wild Wings. The total value of the agreement swells to around $2.9 billion after Wild Wings' debt is included. 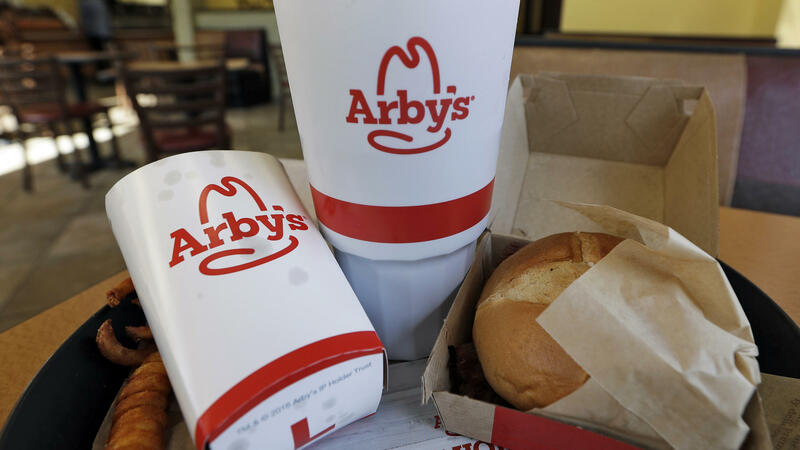 Arby's is controlled by the private equity firm the Roark Capital Group, which says it will be taking Buffalo Wild Wings private and continue to operate it as an independent brand. Shareholders of the chicken wing and sports bar chain will need to approve the deal before it's finalized. The companies' boards of directors have approved the buyout, which is also subject to regulatory approval. Buffalo Wild Wings says it has more than 1,250 locations in 10 countries; Arby's says it has more than 3,300 restaurants in seven countries. "The transaction is not subject to a financing condition," the companies say, adding that the merger is expected to become final in early 2018. It's the latest realignment involving Arby's, which was founded in 1964 and was once owned by Royal Crown Cola. The restaurant chain later changed hands. Its parent company acquired Wendy's in 2008, and Arby's was spun off and sold to Roark Capital in 2011. In a joint statement issued Tuesday, Arby's and Buffalo Wild Wings say the $157 share price "represents a premium of approximately 38 percent to BWW's 30-day volume-weighted average stock price as of November 13, 2017, the latest trading day prior to news reports speculating about a potential transaction." But a shareholder rights law firm says it will be looking into the fairness of the price. Former Securities and Exchange Commission attorney Willie Briscoe of the Briscoe Law Firm says in a news release of his own that $157 "is virtually no premium over the 52-week high and lower than at least one analyst's estimated value of $170.00 per share." Shares of Buffalo Wild Wings, which had closed at around $145 on Monday, rose sharply when news of the merger came out Tuesday, leveling off above $155.